LOS ANGELES (AP) — Striking teachers and the nation’s second-largest school district are set to continue renewed negotiations Saturday following a fifth day of passionate protests in Los Angeles. Renewed negotiations organized by Garcetti’s office began Thursday afternoon and didn’t break until after midnight. The mayor does not have authority over the district, but he has sought to help both sides reach an agreement. With state funding dependent on attendance, student absences have cost the district about $125 million over five days, the district said. At the same time, it doesn’t have to spend about $10 million a day on teacher pay. The union representing principals urged the district to close schools until the strike is over. 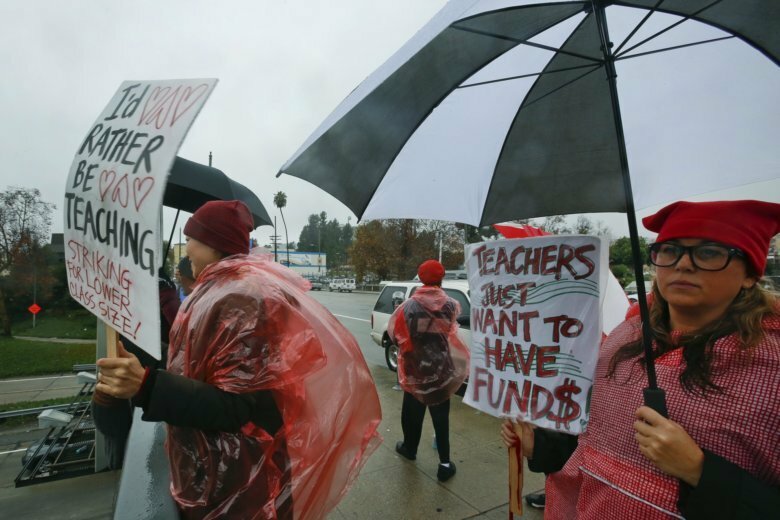 If it can’t close the campuses, Associated Administrators of Los Angeles asked for additional resources for principals who have helped keep schools running while teachers walk picket lines. In response, Beutner acknowledged the administrators’ sacrifices but said schools must remain open to provide a safe place for students. District officials have said teacher demands could bankrupt the school system. Beutner has urged the teachers to join him in pushing for more funding from the state, which provides 90 percent of the district’s money.